Sci-fi thriller Zero Escape: Zero Time Dilemma has appeared on , a mere two days after its Vita and 3DS launch earlier this week. 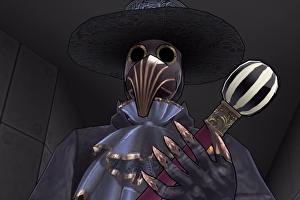 This third and final entry in the Zero Escape franchise (which includes 999: Nine Hours, Nine Persons, Nine Doors and Zero Escape: Virtue’s Last Reward) eschews the series’ visual novel presentation for fully 3D environments and characters who act out their scenes in a more lively, animated manner. Presentation aside, Zero Time Dilemma is still a mix of brain teasers and Choose Your Own Adventure-style interactive fiction about a group of people forced to play a deadly puzzle game. Think Professor Layton meets Saw merged with a labyrinthine sci-fi plot that could give the likes of Inception or Primer a run for their money.